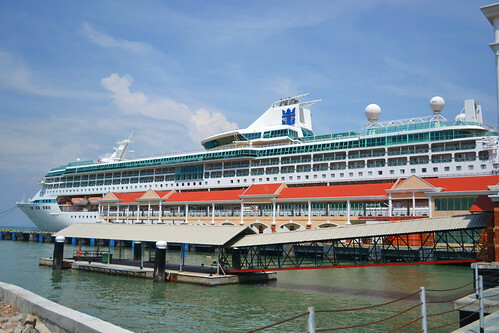 Royal Caribbean Cruises Ltd announced it has entered into a joint venture with Penang Port Sdn Bhd (PPSB) to upgrade and improve Swettenham Pier Cruise Terminal (SPCT) in Georgetown, Penang, Malaysia. The upgraded pier will accommodate berthing of larger cruise ships. Plans for the facilities include extension of the existing berths to 688 metres from its current length of 400 metres. This will enable the terminal to berth two mega cruise liners carrying over 4,900 passengers each at any one time. In addition, the redevelopment will include spaces for tour buses to ease the flow of traffic in the areas around SPCT. The USD35 million project will further focus on improving accessibility for the aged and physically challenged throughout the terminal from ship to shore. This planned development has received unyielding support from both State and Federal government and associated government agencies including Tourism bodies, and will be a focal part of Malaysian Tourism EPP6 plan to create a “Straits and Borneo Cruise Riviera”. Royal Caribbean will own a 40% stake in the venture, and the project will be managed by both parties. Royal Caribbean is scheduled to make 38 calls in Penang in 2017.